Get insights on the concept of Learnability or learning effectiveness and its significance. Get insights on the challenges that L&D teams face in determining the Learnability and how EI Design's Learnability framework can be used to offset these challenges. Get a comprehensive view of how EI Design's Learnability framework works through case studies on measuring, enhancing, and validating the Learnability or learnability of eLearning courses. By evaluating your eLearning courses for Learnability, you can predict its impact as well as identify measures to increase it. This will go a long way in achieving a positive ROI on your training spend. Being able to determine and measure the learnability of your eLearning course is essential in eLearning. 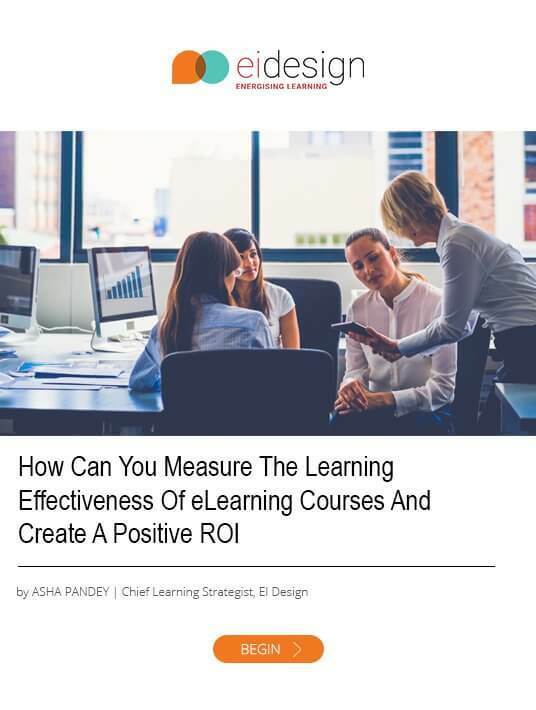 In addition to that, this eBook provides case studies and best practices on how to enhance learning effectiveness as well as how to validate it.